Balearic Day Mallorca is a real treat. On March 1 each year, there is a public holiday `Balearic Islands´ Day (Día de les Illes Balears) which commemorates the granting of autonomous government status to the Balearic Islands (Mallorca, Menorca,Ibiza and Formentera). Autonomous status was granted by statute on March 1, 1983 and the date has been marked by a local public holiday every year since. 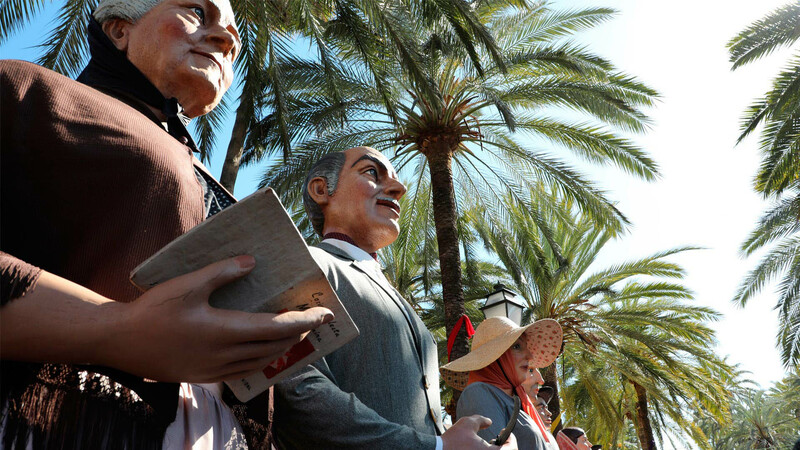 Celebrations are spread over the four islands in all of their municipalities but, as the capital of the largest of the Balearic Islands, Balearic Day Mallorca and in particular Palma hosts the majority of the events and attracts very large crowds. 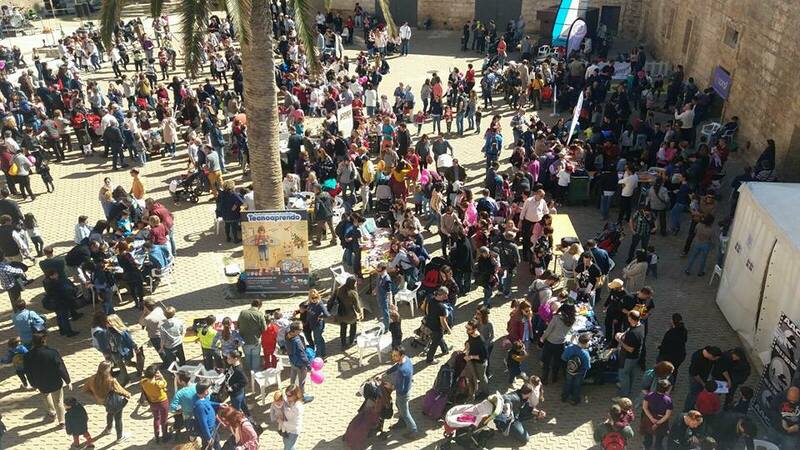 The biggest event takes place along Palma´s imposing city wall at Es Baluard which plays host to a magnificent Medieval artisan market selling a wide array of food and products made on the islands as well as demonstrations of traditional arts and crafts. 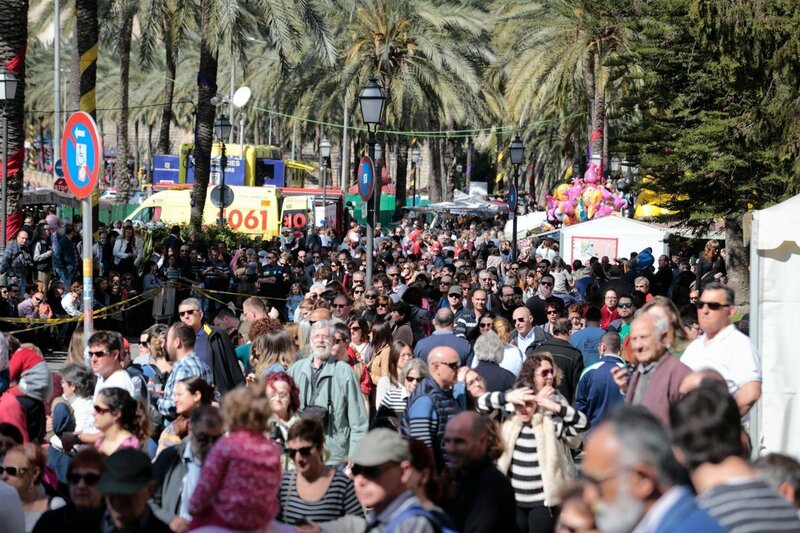 Saunter along the stalls, past the impressive Balearic government buildings , Consolat de Mar, (open to the public on this one day of the year), take in the Medieval mercantile exchange at Sa Llotja, all the way to the Parc de Mar beneath Palma´s majestic Cathedral, La Seu. Flags are flying, jugglers are hard at work, and most of the stallholders are dressed in Medieval costumes. You may even see a dancing giant or traditional Mallorcan demons with fireworks and, of course, you will enjoy local folk music. The food market in Parc de sa Feixina is particularly tantalising with regional food delights from all areas of Spain. 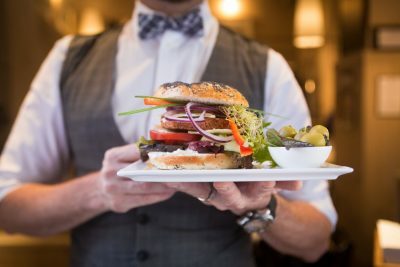 You could pick up tapas for a few Euros or ,if you are looking for something more substantial, there is always huge BBQs serving various cuts of meat, grilled to perfection. Delicious! On the outskirts of Palma, the fairground has arrived and is open for business for all to enjoy, whilst schools and places of work are closed. Around the islands there are concerts featuring traditional and modern music, more Medieval town markets and, in a number of places, communal meals. 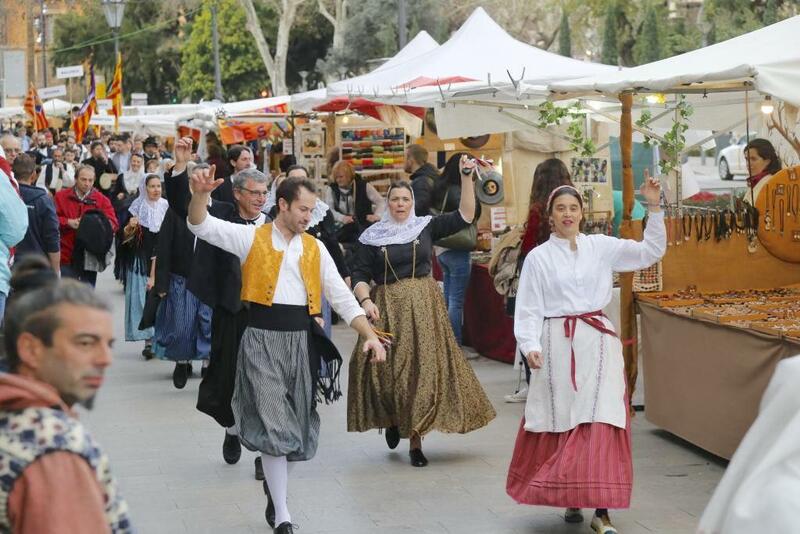 There are exhibitions showcasing art and traditional products inspired by the islands´ traditions but, above all, its about fiesta, partying with friends and family with good food, music, wine and merriment on Balearic Day Mallorca. So if you arrive in the middle of a street party, don´t be surprised. Just join in !